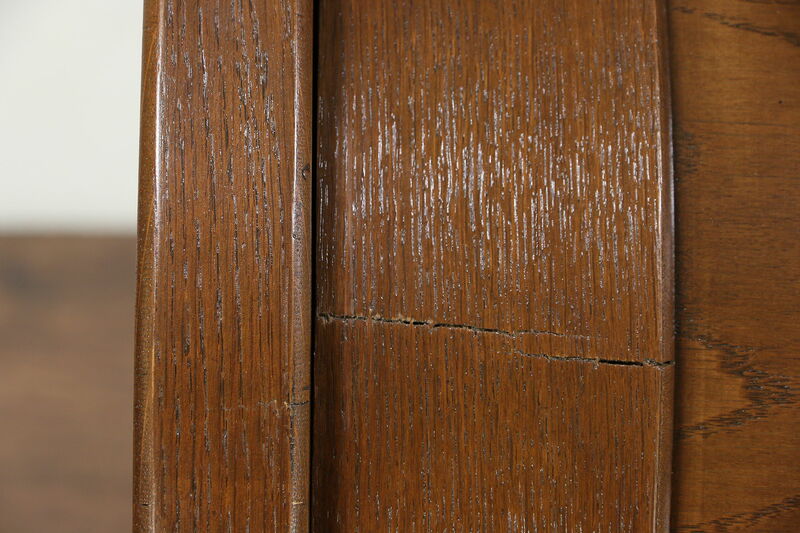 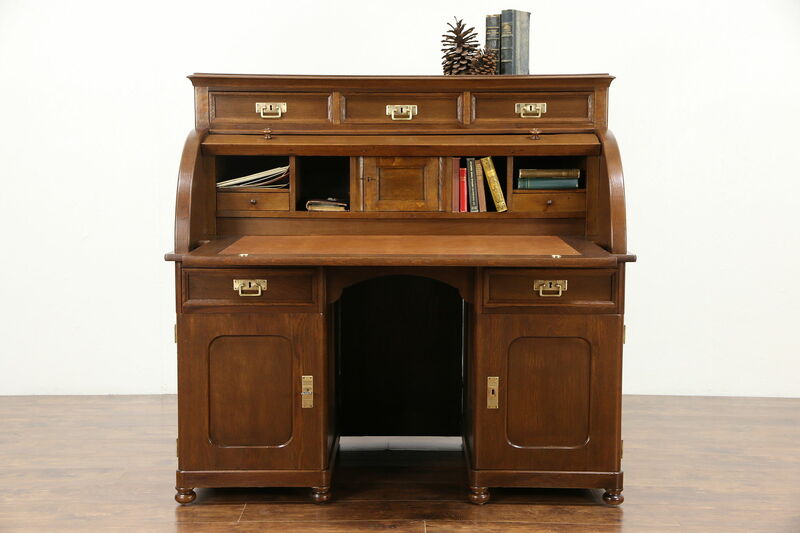 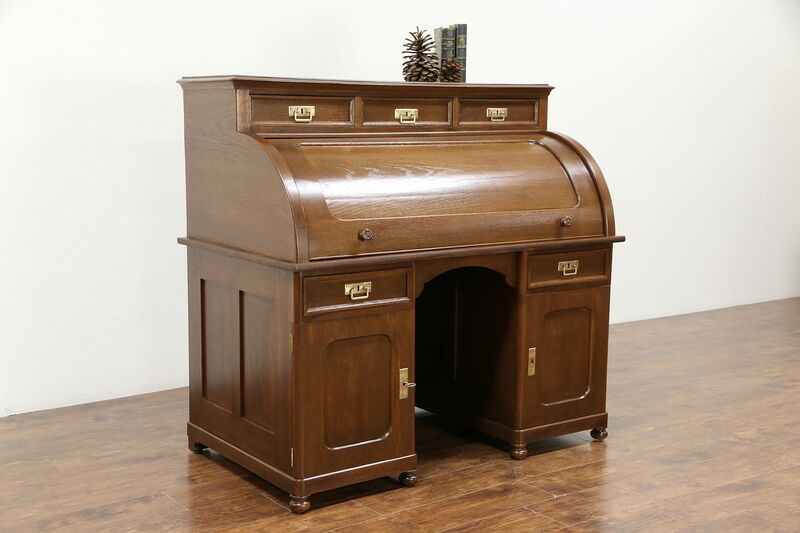 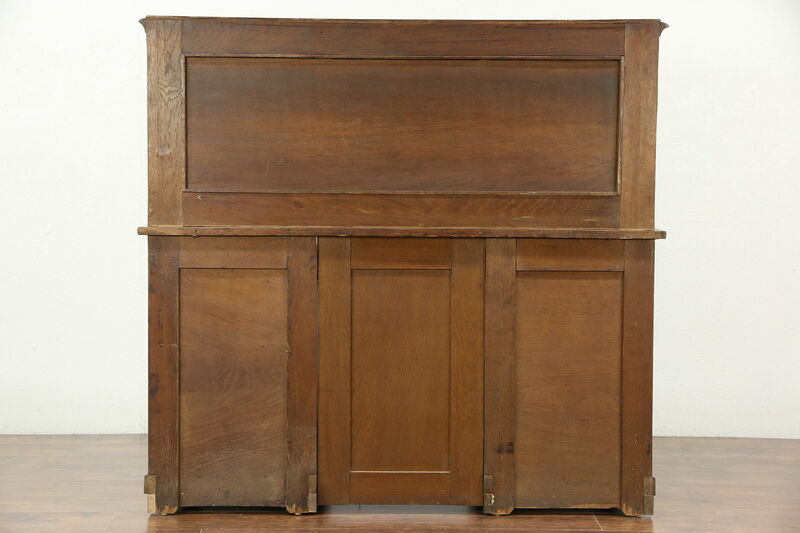 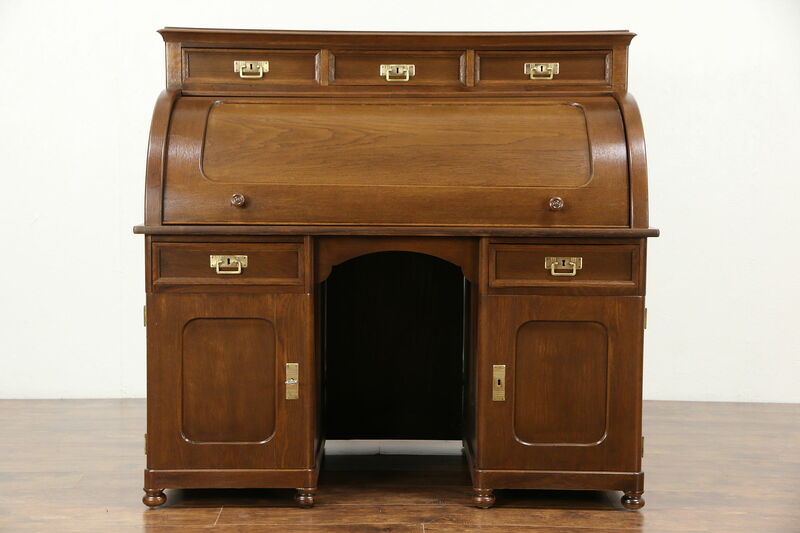 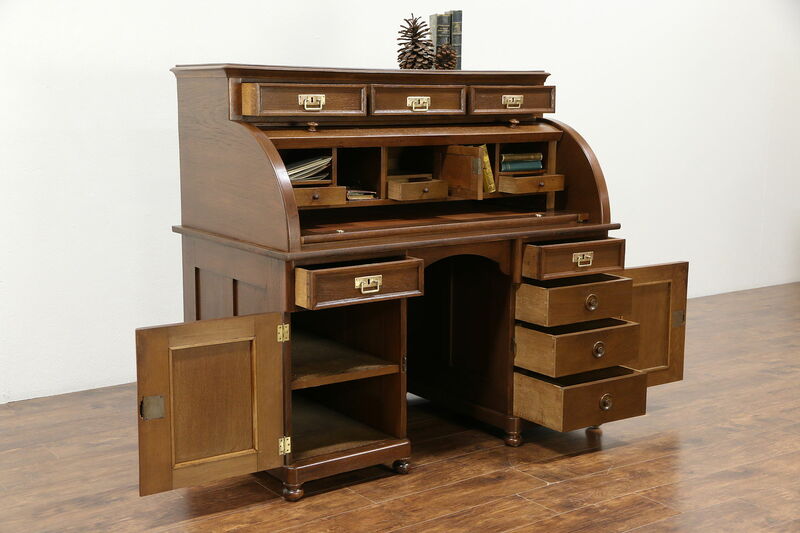 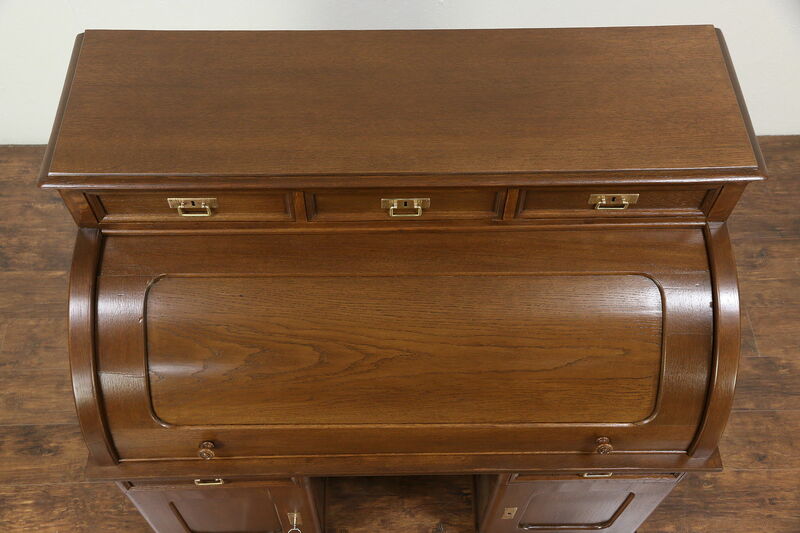 A cylinder or barrel roll top desk was hand crafted in Germany about 1900 of solid fine grained oak. 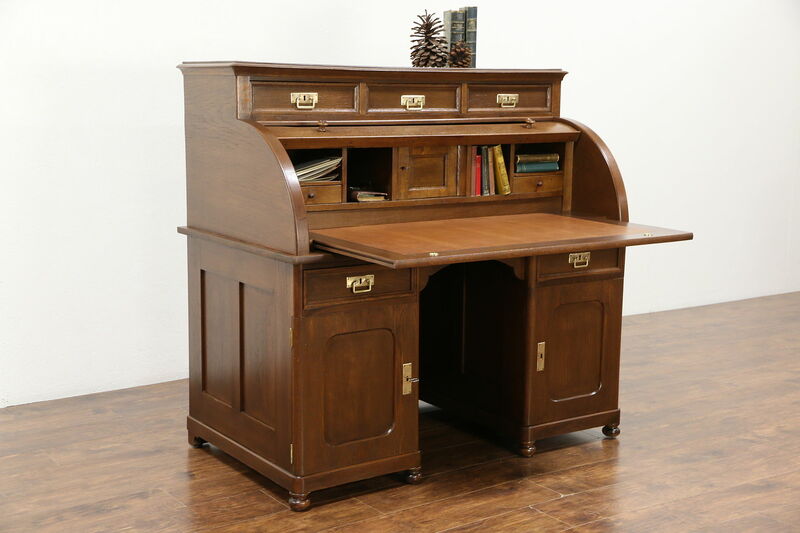 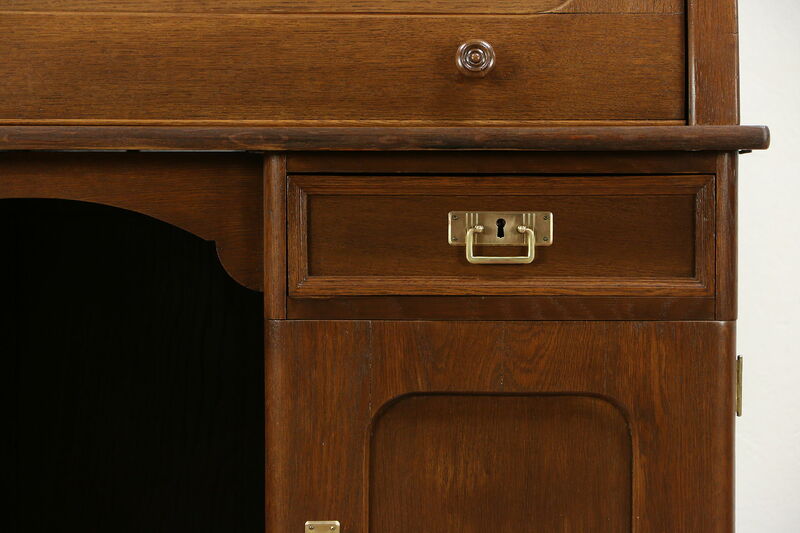 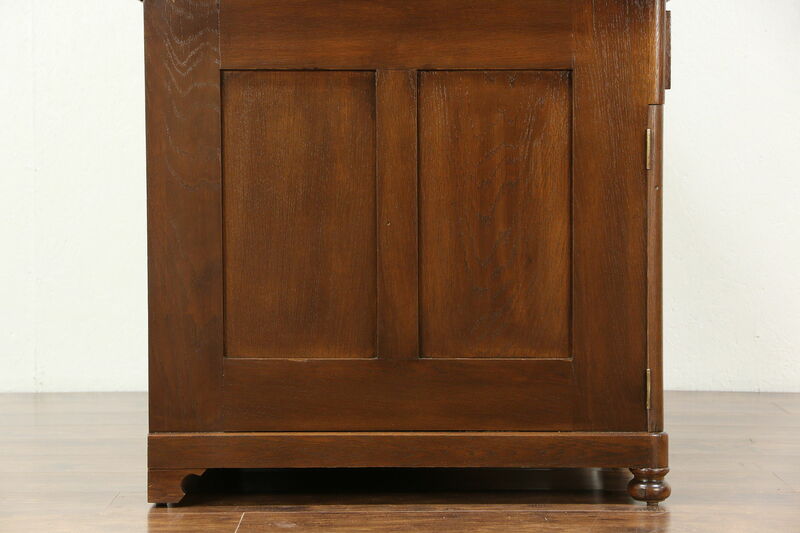 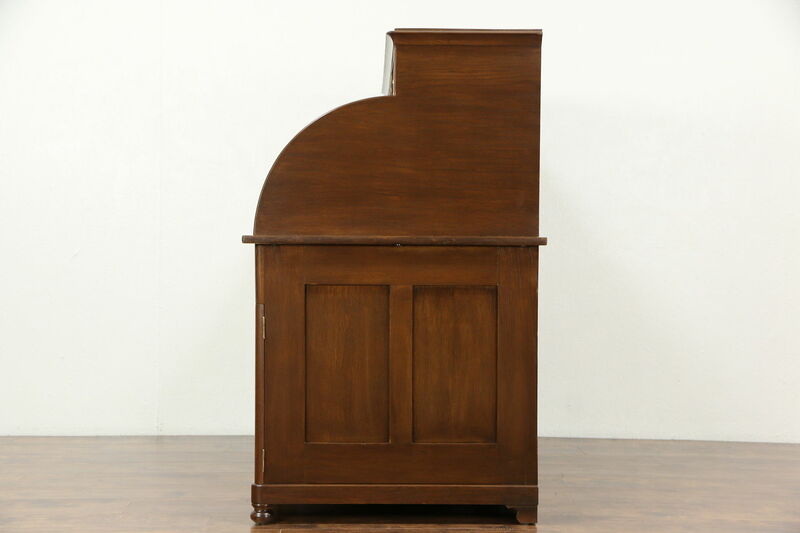 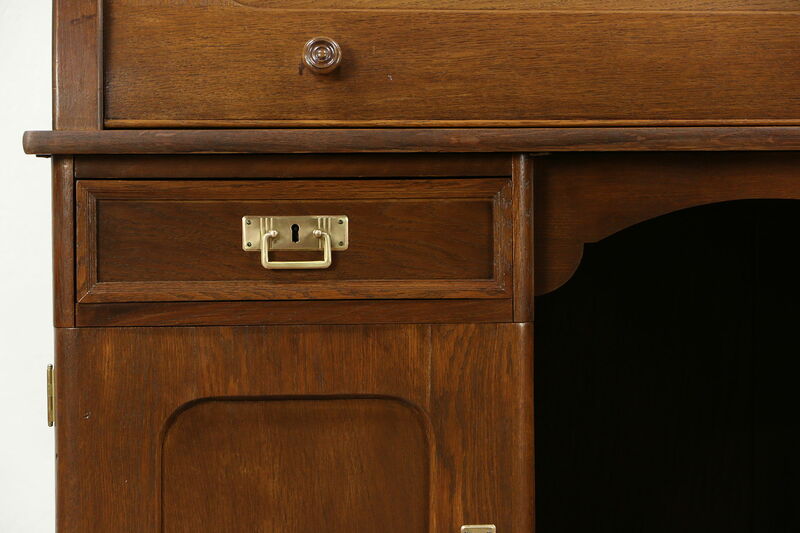 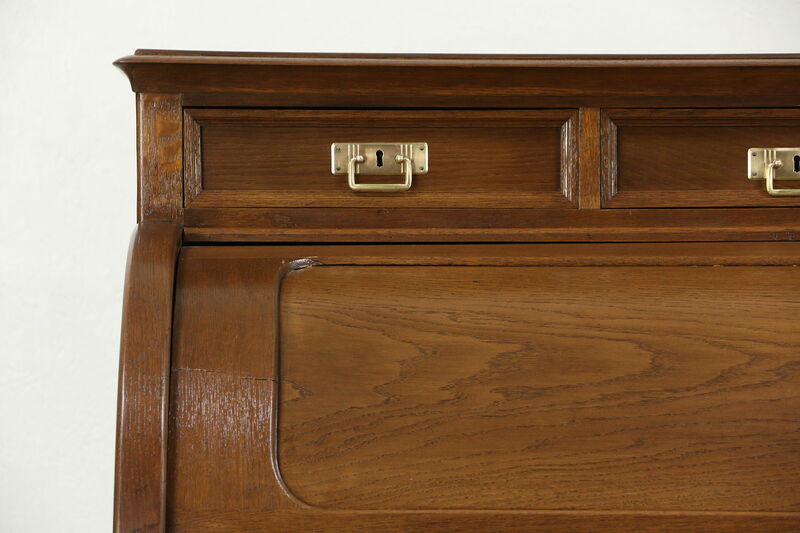 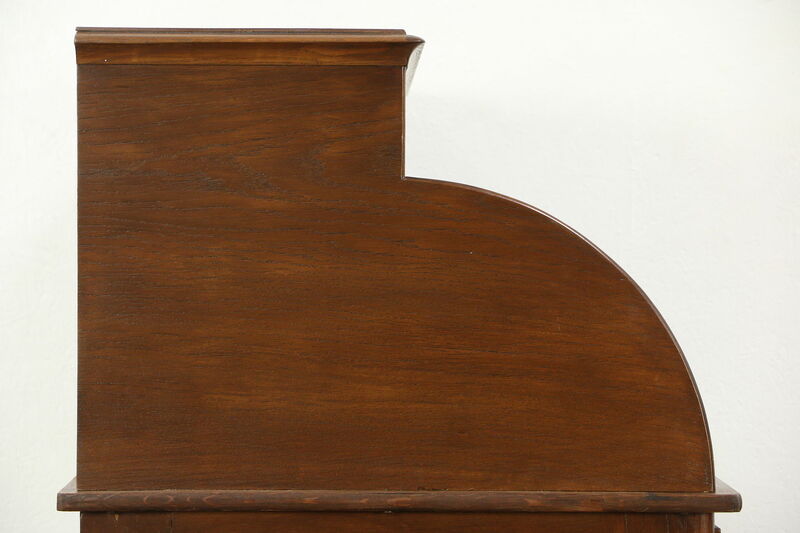 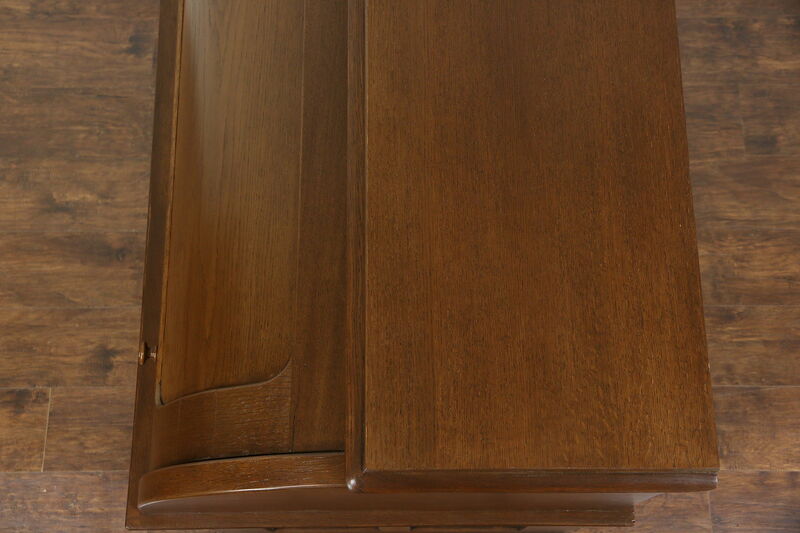 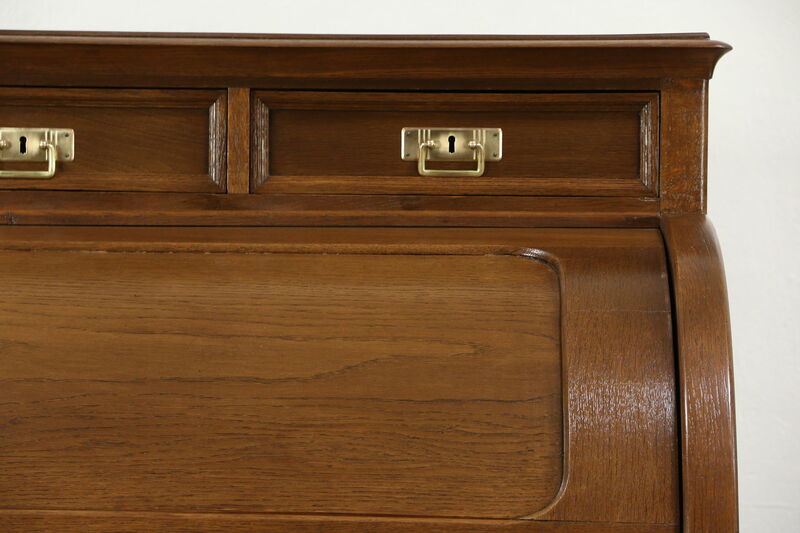 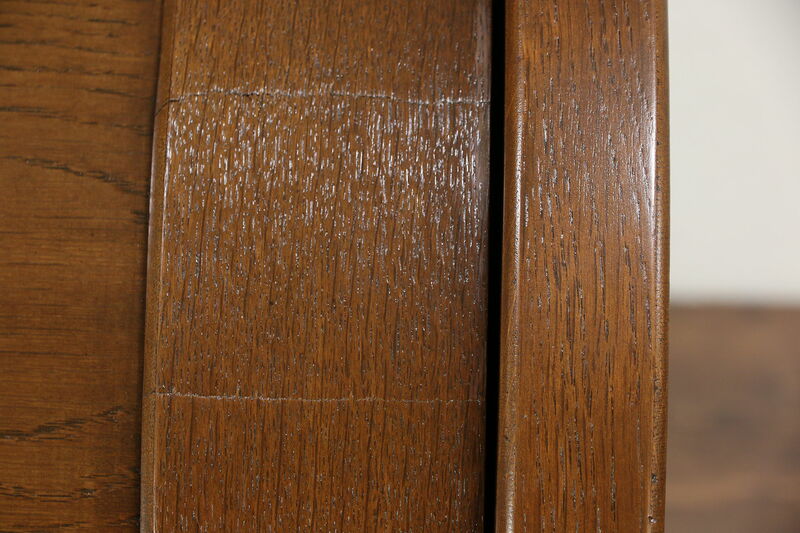 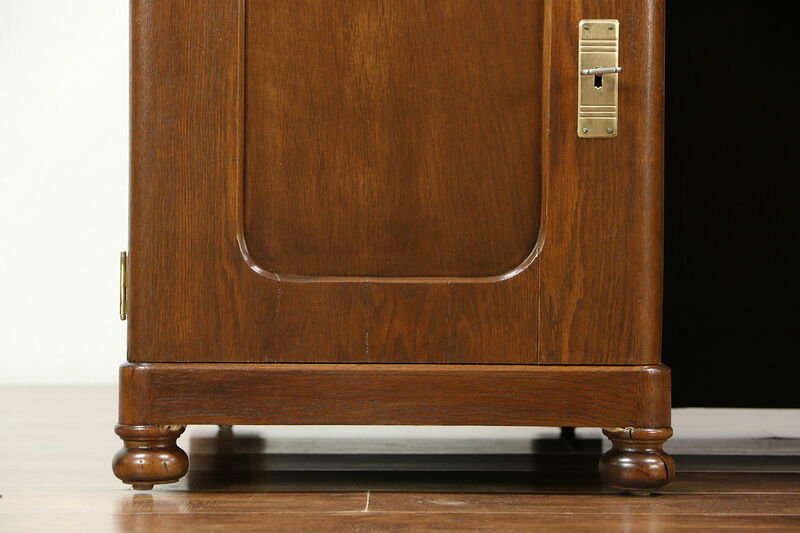 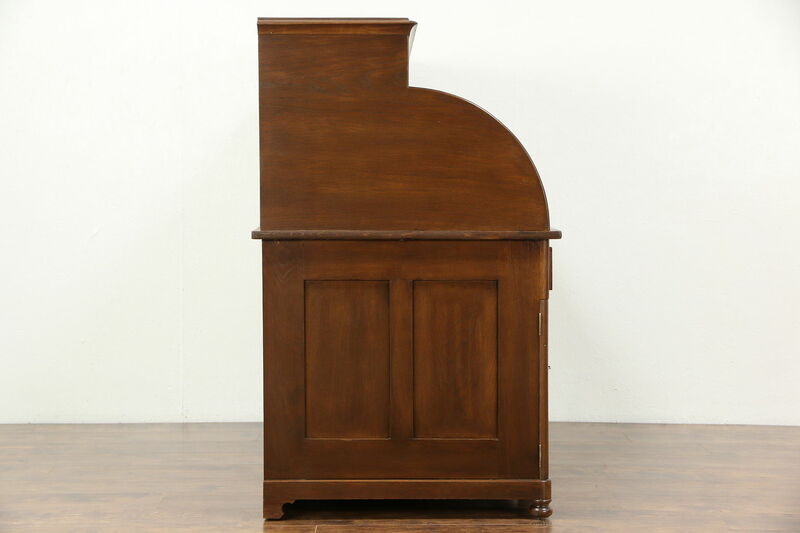 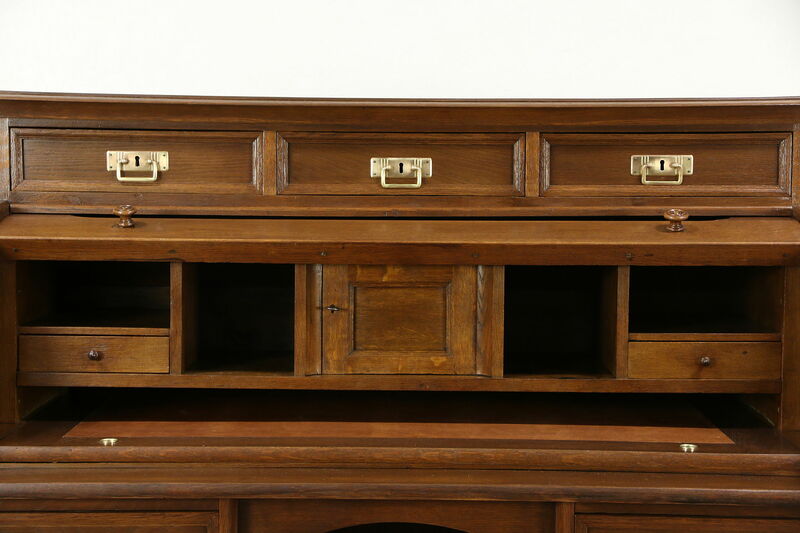 The restored deep finish is in excellent condition on this antique library or office furniture. 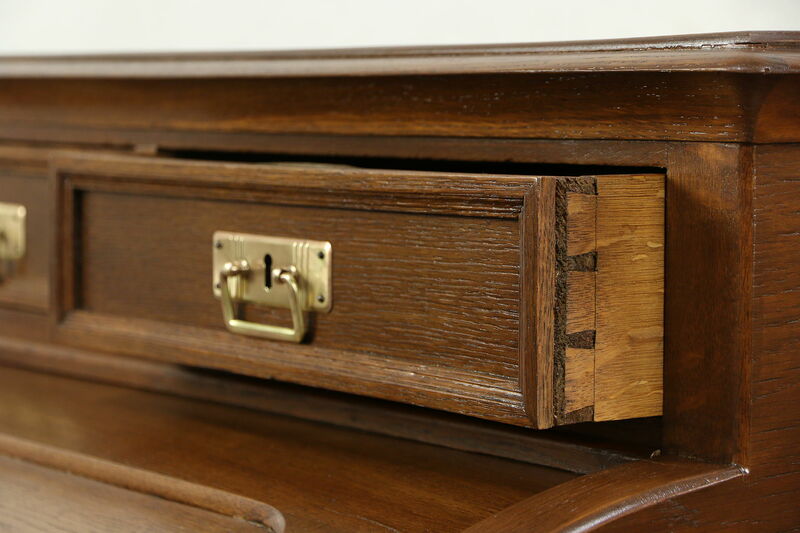 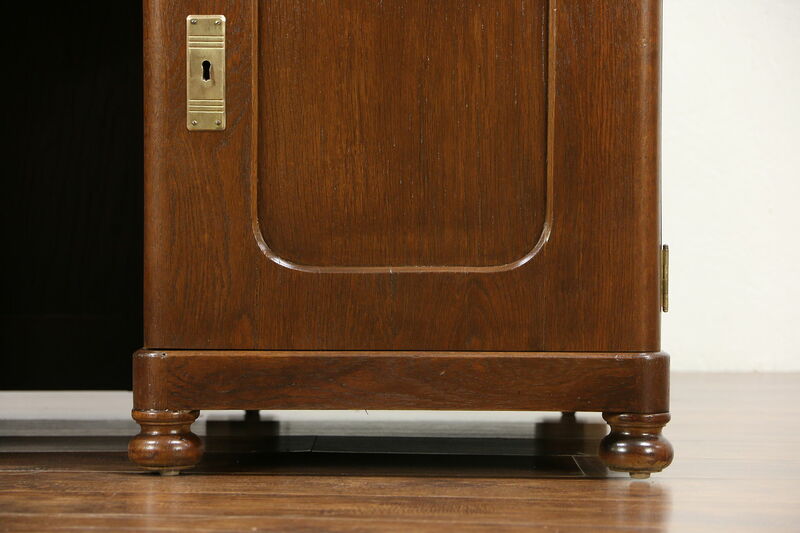 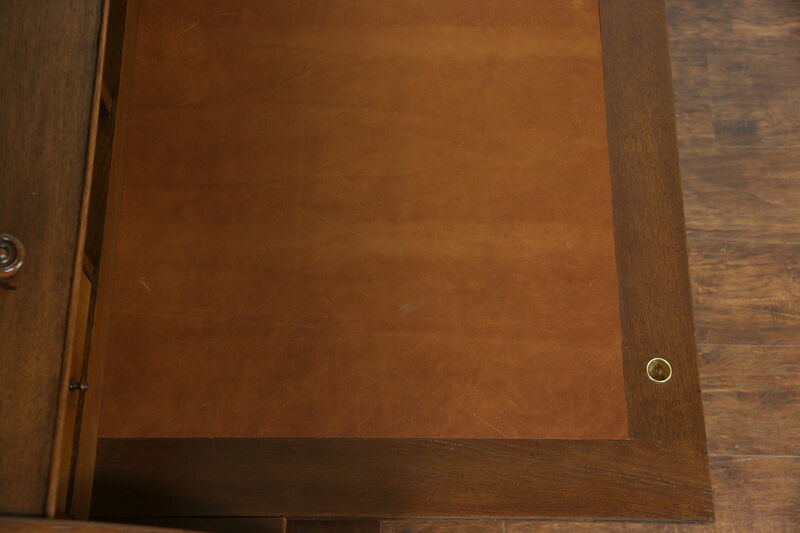 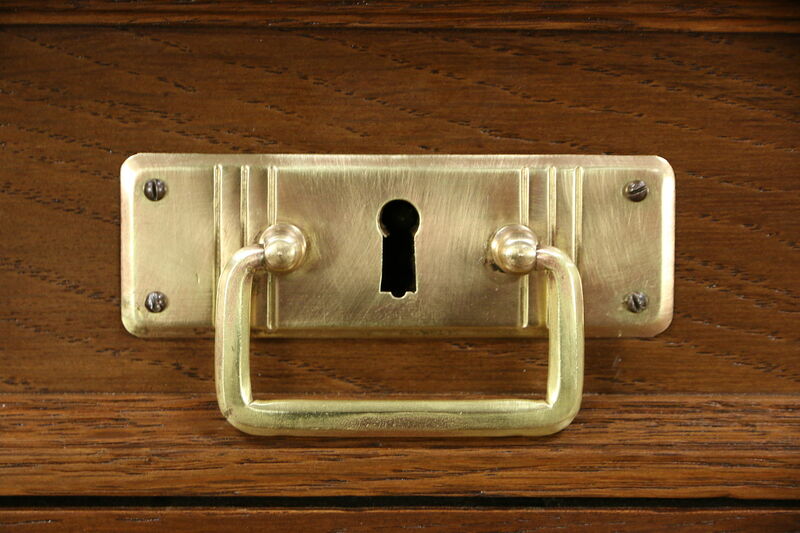 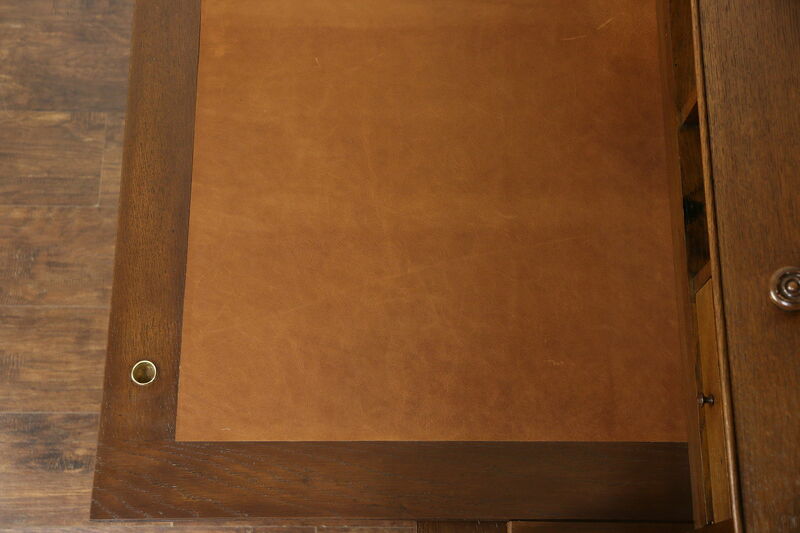 Drawers have hand cut dovetail joints, Brass hardware is original. 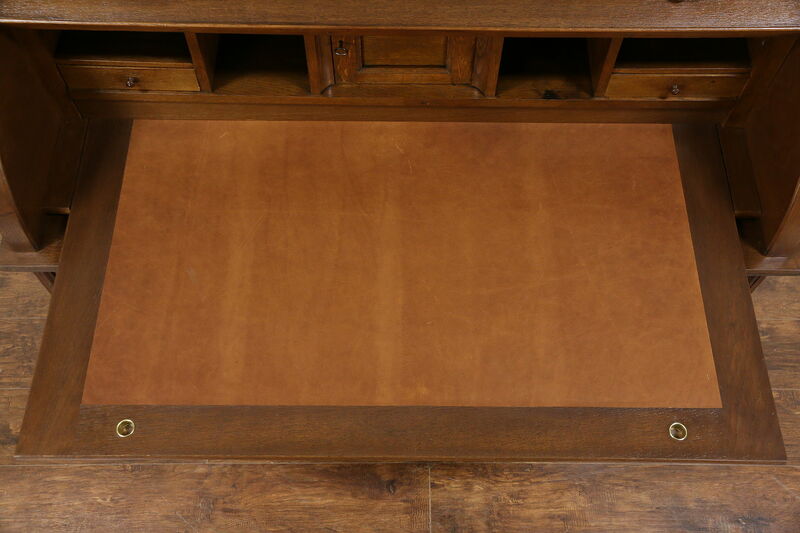 The roll glides smoothly open, inside are cubicles and tiny drawers for papers. 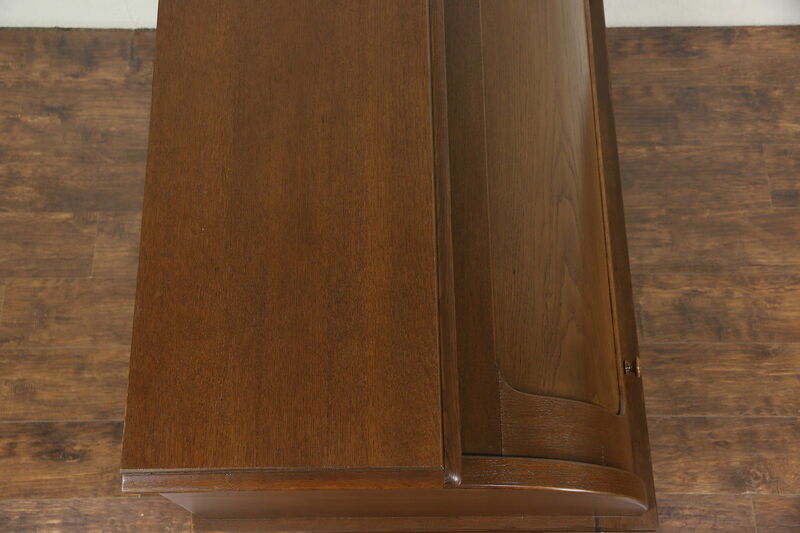 Paneled sides and back have clean lines. 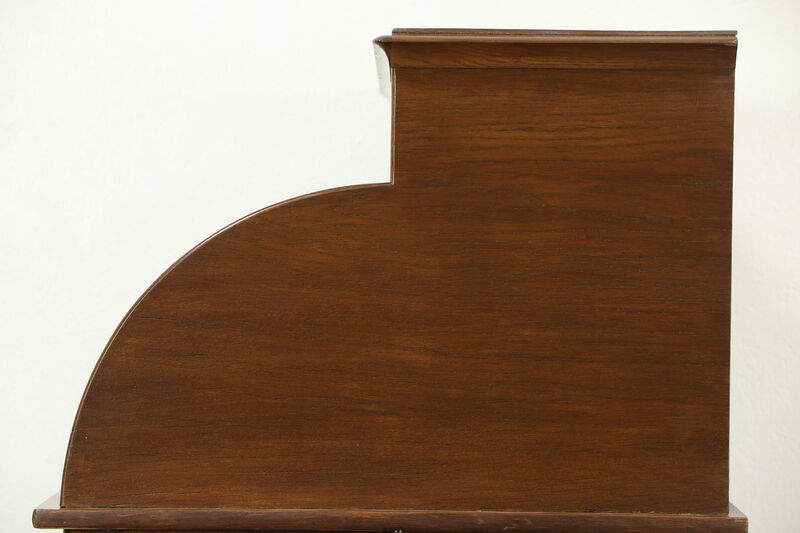 For easier delivery, the upper section is removable. 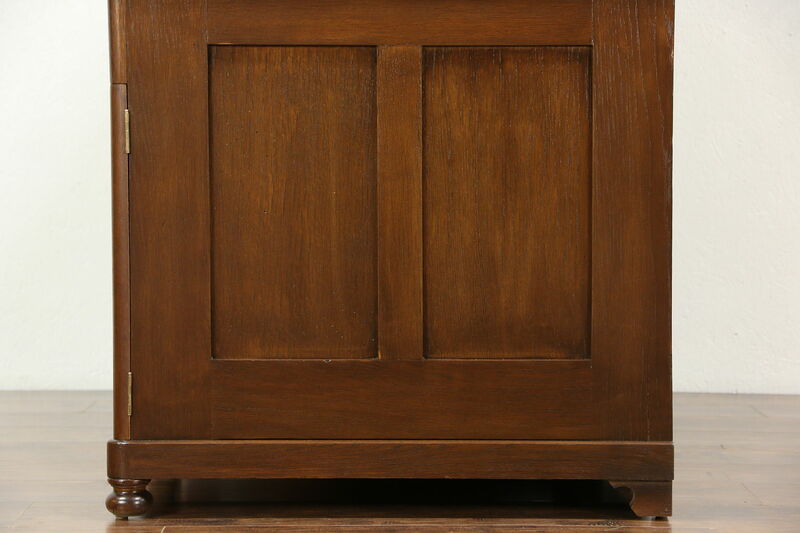 Measurements are 56" wide, 32" deep and 53" tall. 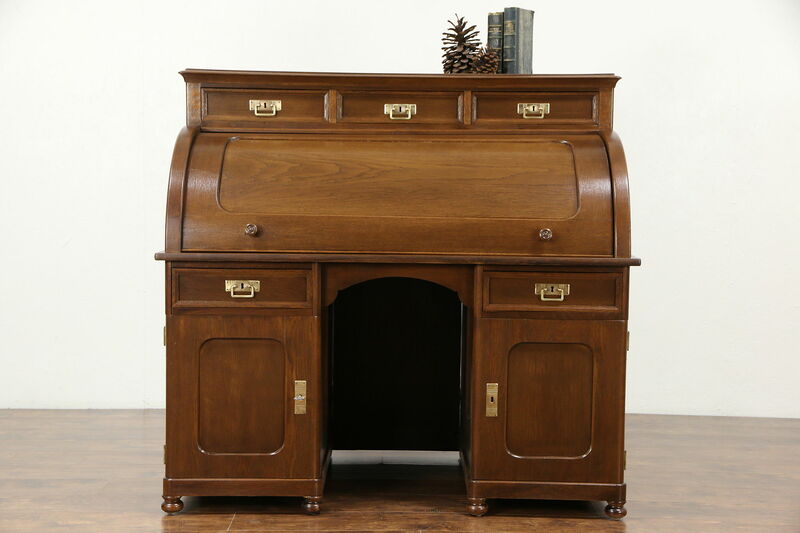 The writing surface is 31" tall and extends over the front of the desk 14".